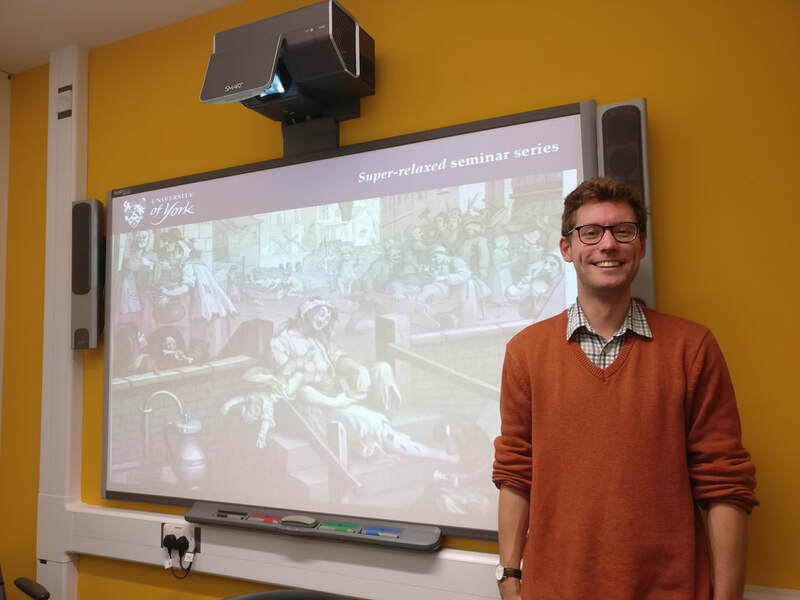 Here you can find details of the York Law School's ​Super-relaxed seminar series​, which I convene. 'Pubs, "vertical drinking" and the regulation of vice'. 'Technology and health law: Liability, responsibility and the future'. 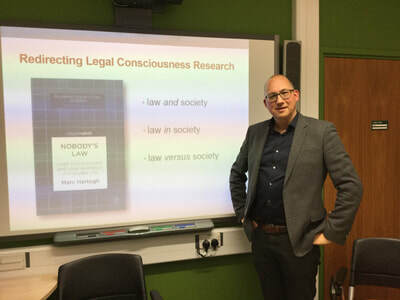 'The dog that does not bark: Legal consciousness and legal alienation in everyday life'. 'Cryptocurrency transactions and the exclusion of property law'. 'After the meaningful vote: Where next for Brexit?'. 'Assisted dying and legal change revisited'. 'Taking a stroll through the Brexit Shambles'. *​All seminars run 1530-1700. LMB/128/129 in Term 1, LMB/ 139/140 in Term 2.